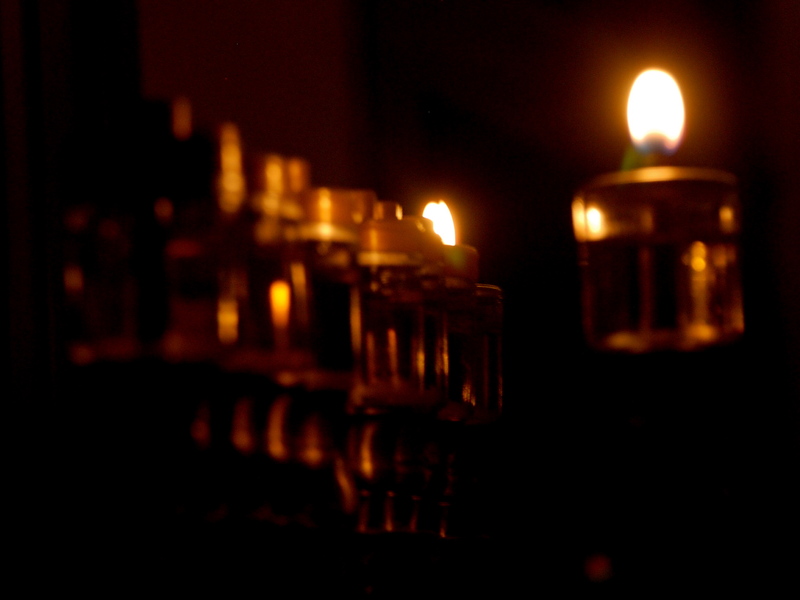 We gathered with some friends in our neighborhood to light the first candle of Hanukkah. As we walked to their apartment, we noticed the colors of the sky. It was that twilight time of early night when everything becomes gray, but last evening it seemed grayish purple. And we could feel the evening falling as we entered our friends’ warm and cozy home. We honored the God of Abraham, Isaac, and Jacob and prayed prayers of hope and faith asking for more light to be shed upon this ancient city. We sang songs of joy and sent hugs and smiles around the room. Light is sown like seed for the righteous and gladness for the upright in heart (Psalm 97:11).